This was a bookcase that we picked up at a yard sale. It was green with a bunch of strawberries all over. We sanded it down really good so the berries wouldn’t show through. 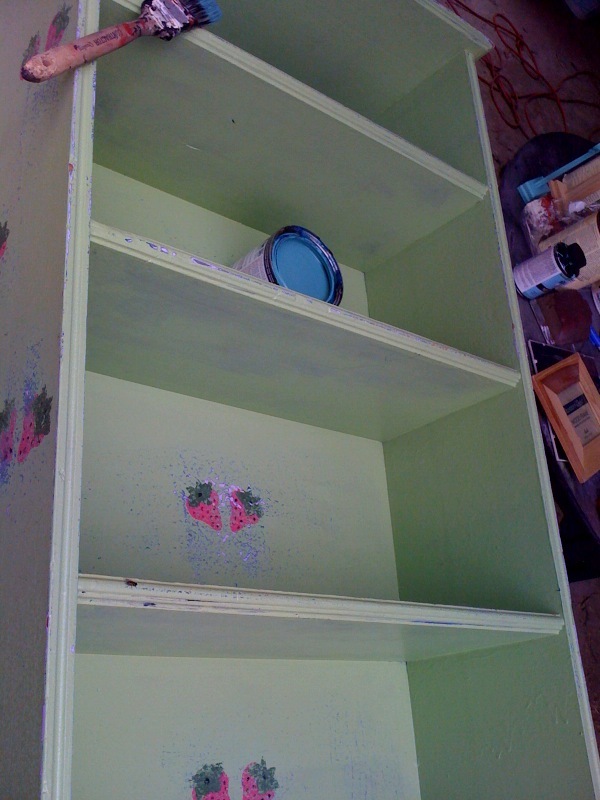 Once sanded we started painting. We decided to do something a little different and use turquoise/aqua color. Once it was painted and dried we lightly sanded for a smooth finish. 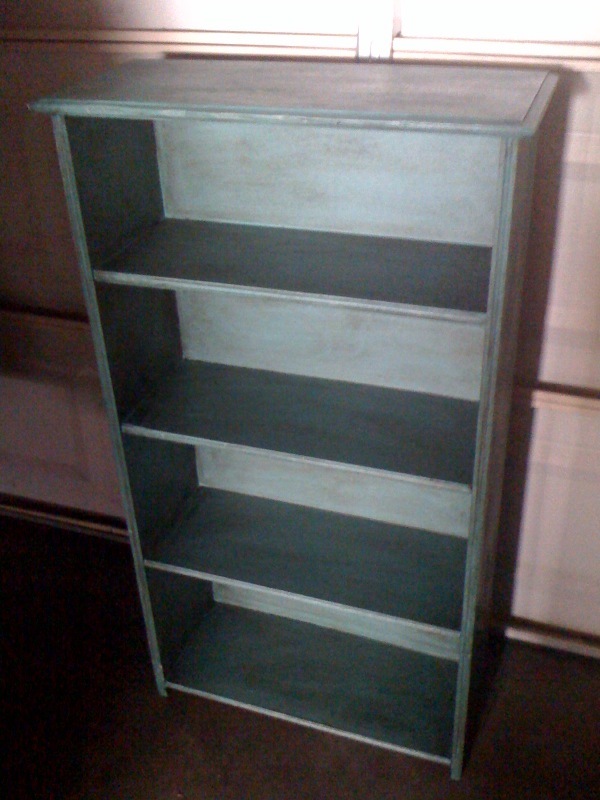 Well, it wasn’t finished yet so we rubbed a dark glaze over the bookcase to give it an antiqued look.